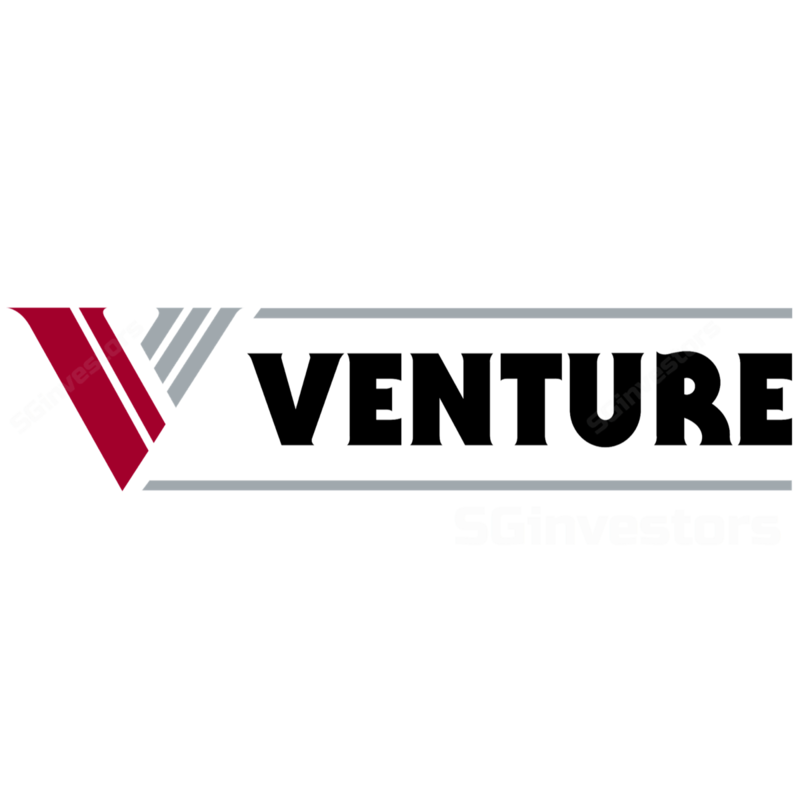 Venture Corporation's 4Q17/FY17 revenue at 27%/100% of our FY17 forecasts was in line. 4Q17/FY17 core net profit was above at 37%/102% of our FY17 forecasts due to better-than-expected margins. Net profit margin expansion continued into 4Q17. Net margin expanded from 5.8% in 1Q17 to 13.2% in 4Q17. We raise our FY18-19 EPS forecasts to reflect the better margins and strong revenue growth. Our Target Price rises to S$30.81, still based on 17.7x FY19F EPS (0.5 s.d. above its 11-year historical average of 15.5x). Venture Corporation's FY17 core net profit was 2% above our forecast. Venture reported 106.2% y-o-y growth in reported net profit to S$372.8m in FY17. Excluding a S$11.3m gain on the sale of its stake in an associate completed in Nov 17, core net profit was S$361.5m. FY17 revenue of S$4.0bn was in line with our expectation. 4Q17 revenue grew 27.1% y-o-y while full-year revenue growth was 39.3% y-o-y. A final DPS of S$0.60 was declared. Management commented that three quarters of its customers still enjoyed revenue growth and roughly 7% of its customers saw flattish revenue growth. All segments registered y-o-y revenue growth except for the Printing and Imaging segment. Group revenue growth was driven by new products in the Test & Measurement/Medical & Life Sciences/Others segment which grew by 84% y-o-y. This segment accounted for 57.1% of FY17 revenue (FY16: 43.3%). In line with its strategy to create value for customers and embed itself as a key design/manufacturing partner among customers, quarterly net profit margin expanded further to 13.2% in 4Q17. Throughout FY17, quarterly net margins have been on the rise. FY17 net margin of 9.3% was the highest since FY02 despite the rise in effective tax rates from 5.2% in FY02 to 16.0% in FY17. Working capital management was also impressive with the cash cycle (based on quarterend data) at 95 days for 4Q17 (4Q16: 112 days). Trade receivables days were shortened to 64 days in 4Q17 versus 76 days in 4Q16. Operating cashflow before working capital changes was S$448.5m for FY17 while free cashflow hit S$411.6m. Venture remains in a net cash position as at end-Dec 17. Debt was pared down to S$30.8m as at end-Dec 17 versus S$92.6m as at end-Dec 16. Given the strong revenue growth and margin expansion, we raise our FY18-19F EPS by 7.5-5.8%. We also introduce our FY20F forecasts. Our P/E target multiple remains at an unchanged 17.7x (0.5 s.d above its 11-year historical average of 15.5x). Target price rises to S$30.81. Potential catalysts are more product launches by customers.